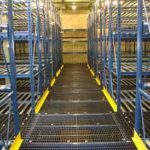 A pallet runner is a semi-automated deep lane storage system ideal for a number of applications including climate controlled food and beverage storage and warehouses with high volume SKU's. 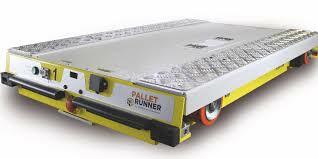 A pallet runner maximizes productivity by minimizing travel distances. The systems can be set up for first-in, first-out (FIFO) or last-in, first-out (LIFO) applications in both regular and climate controlled environments. 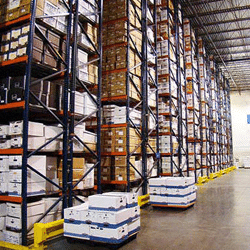 The shuttle carts can be outfitted to suit a wide variety of pallet designs. By integrating the shuttle system into your warehouse, it cuts handling times in half by freeing up the operator to perform other tasks. With an average of 22 pallets deep, this deep lane storage system provides higher density than typical drive-in or pallet flow applications. 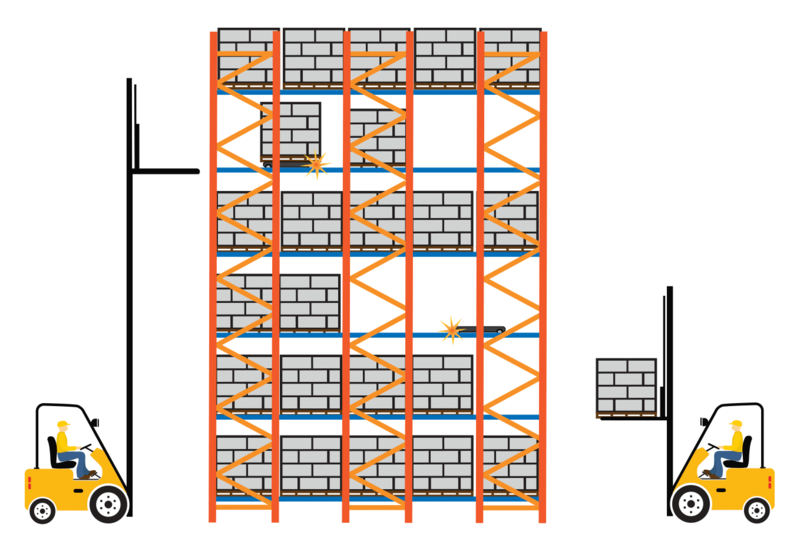 Read below to learn how a pallet runner works, typical applications, and other considerations. If you'd like to speak with a representative regarding pallet runners, fill in the contact form on this page or call (800)595-0400. Pallet Runner: How Does It Work? 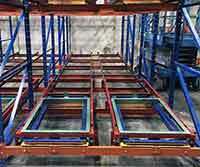 Pallets are loaded into the system by a lift truck then transported and placed on the rack by an automated cart. 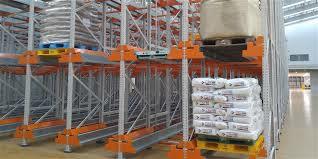 The carts can easily move between various levels and shelves by a lift truck. The cart is designed with magnets on the bottom to adhere to forklifts to avoid carts being dropped. Once the cart is placed into the appropriate lane, an operator can control the cart by using a radio transmitter. The process of unloading is the exact same: the cart collects and transports pallets out of the system while an operator moves between the lane and the shipping dock or other destinations. 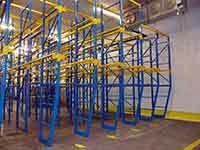 In a FIFO system, the pallet runner cart is used to load pallets from one end of the storage system and pick them from the opposite end of the system. 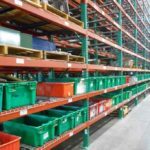 In a LIFO system, pallets are loaded into the system with the pallet runner from the main aisles allowing the system to be deeper, creating higher density. This product flow option creates the shortest distance between the loading docks and the system. With the cart doing the deep lane transport, the lift truck operator travels only between load source and lane entry. This maximizes productivity and minimizes travel distances. 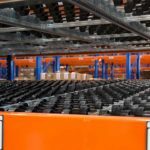 By integrating the shuttle system into your warehouse, it eliminates the need for wider picking aisles, allowing the entire volume of your warehouse to be utilized. 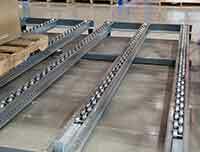 A loaded pallet runner cart travels 180 ft. per minute while an unloaded cart will travel 200 ft. per minute. 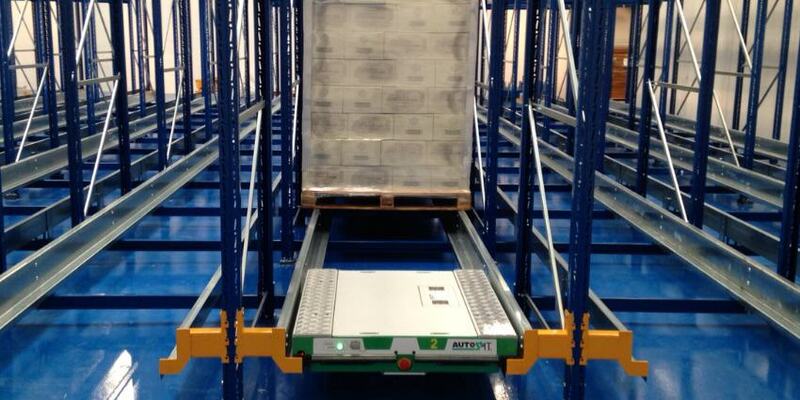 The carts can move 30 to 40 pallets per hour on average. The cart has a load capacity of 1,500 lbs. and can withstand temperatures from -22 degrees up to 131 degrees Fahrenheit. Controlled by a multi-function radio controller, the cart has a rechargeable lithium battery with 6-8 hours of run time. DO YOU NEED SEMIAUTOMATIC DEEP LANE STORAGE? If you require a semiautomatic, deep lane storage system, we can help. 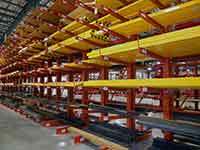 We've been implementing pallet shuttle systems for years.